To learn more, fill out the form and a product specialist will contact you very soon. Newly updated for 2019, Spirit & Psalm is a complete contemporary psalter, offering psalms and Gospel Acclamations for the entire 2019 liturgical year. Includes full recordings of all settings, including every verse! Featuring beautiful vocals from a variety of male and female cantors, this five-CD set is a wonderful way to learn these new settings. You can develop an ear for the repertoire, while familiar voices demonstrate how to sing the verses and refrains for every psalm and Gospel Acclamation. This perfect-bound edition of Spirit & Psalm offers verbatim responsorial psalms and Gospel Acclamations for the entire 2019 liturgical year. 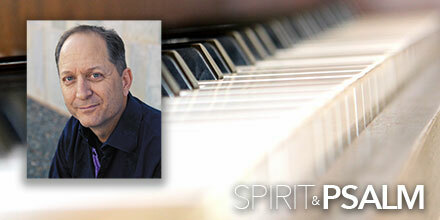 Enjoy singing settings from some of your favorite Spirit & Song composers. 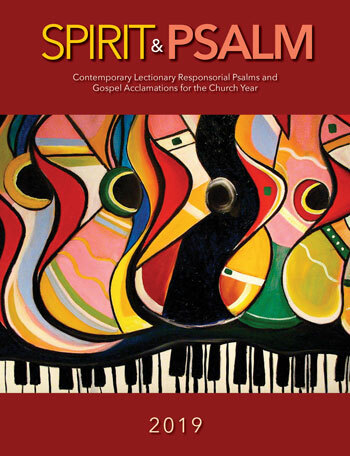 The five-hole punched edition of Spirit & Psalm offers verbatim responsorial psalms and Gospel Acclamations for the entire 2019 liturgical year. 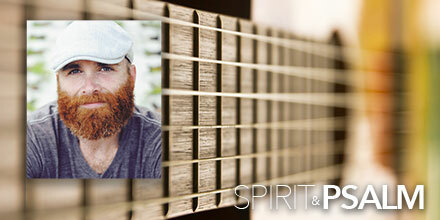 Enjoy settings from some of your favorite Spirit & Song composers. The eBook* is a great tool for rehearsal and planning, allowing you to download the entire Spirit & Psalm 2018 on your iPad, tablet or other mobile device. The interactive table of contents provides quick and easy access to every entry, and the content matches the print edition. *Not intended for desktop/laptop or for printing/copying; format slightly modified from original print version. Please note: the USCCB does not currently approve tablet devices for liturgical use at the ambo or pulpit. 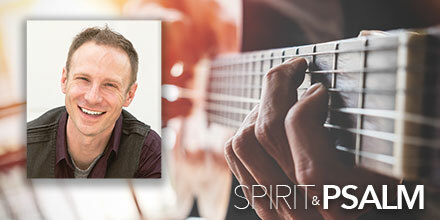 Find the sound samples from Spirit & Psalm 2018 here. From the 29th Sunday in Ordinary Time to Our Lord Jesus Christ, King of the Universe. The contemporary psalm resource you've been waiting for! Spirit & Psalm is a complete and contemporary psalter, offering verbatim responsorial psalms and Gospel Acclamations — arranged in a fresh and inspiring way — for Sundays and major feast days for the entire 2019 liturgical year. With settings from much-loved composers like Steve Angrisano, Iván Díaz, Sarah Hart, Chris Muglia, Curtis Stephan, Ben Walther and many more, Spirit & Psalm is ideal for music directors and musicians looking to add more contemporary sounding psalmody to their liturgies. These high-quality psalm settings provide an opportunity for parishes to sing the verbatim texts from the Lectionary for Sundays and holy days in a new, modern style. Plus, the 2019 edition now includes both the Gospel and Lenten Gospel Acclamations from Josh Blakesley’s Mass of Restoration! Featuring beautiful vocals from a variety of male and female cantors, this five-CD set is a wonderful way to learn these new settings. You can develop an ear for the repertoire, as familiar voices demonstrate how to sing the verses and refrains for every psalm and Gospel Acclamation. The eBook* is a great tool for rehearsal and planning, allowing you to download the entire Spirit & Psalm 2019 on your iPad, tablet or other mobile device. The interactive table of contents provides quick and easy access to every entry, and the content matches the print edition. Compare Spirit & Psalm with other psalm resources here.